﻿ L. E. Hucks and Sons Farm Market - Ohio. Find It Here. 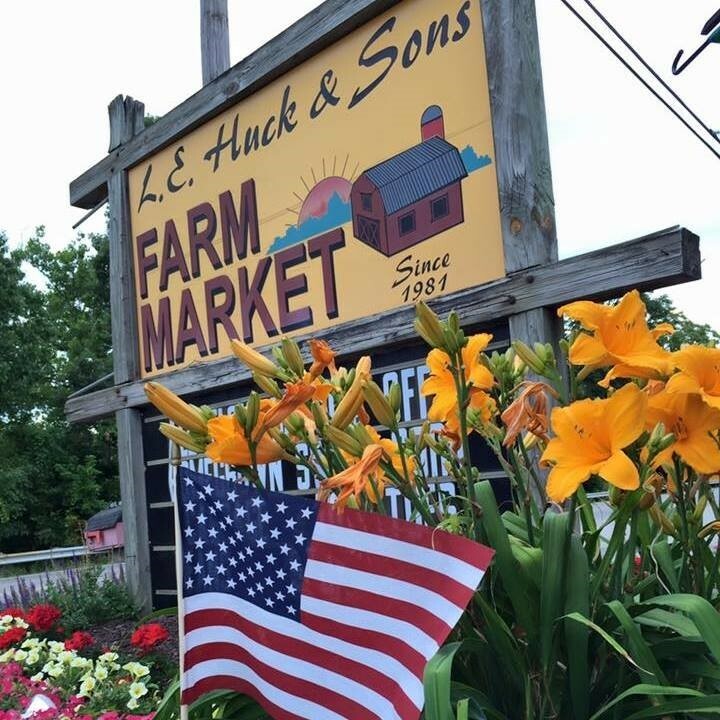 In 1981, we proudly opened the doors to Hucks Farm Market, providing you with the finest fruits and vegetables. We know a thing or two about produce, having farmed in the Muskingum River Valley for the past 100 years. As our family has grown, Hucks Market has grown to include a country shop, deli and sandwich shop with delicious baked goods, and a wide variety of deli meats, cheeses and salads.The reputation of Hucks Market has been based on freshness and quality. Isnt it nice to know that some things never change?